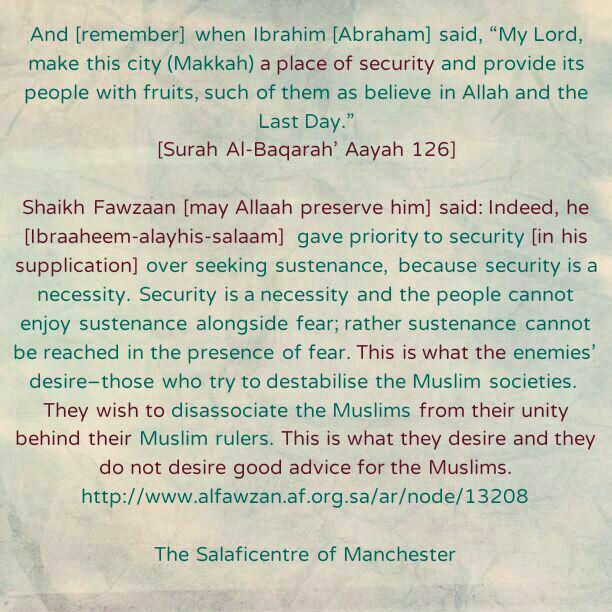 Shaikh Saaleh Al-Fawzaan (may Allaah preserve him) said: Indeed, he (Ibraaheem-alayhis-salaam) gave priority to security (in his supplication) over seeking sustenance, because security is a necessity. Security is a necessity and the people cannot enjoy sustenance alongside fear; rather sustenance cannot be reached in the presence of fear. This is what the enemies’ desire–those who try to destabilise the Muslim societies. They wish to disassociate the Muslims from their unity behind their Muslim rulers. 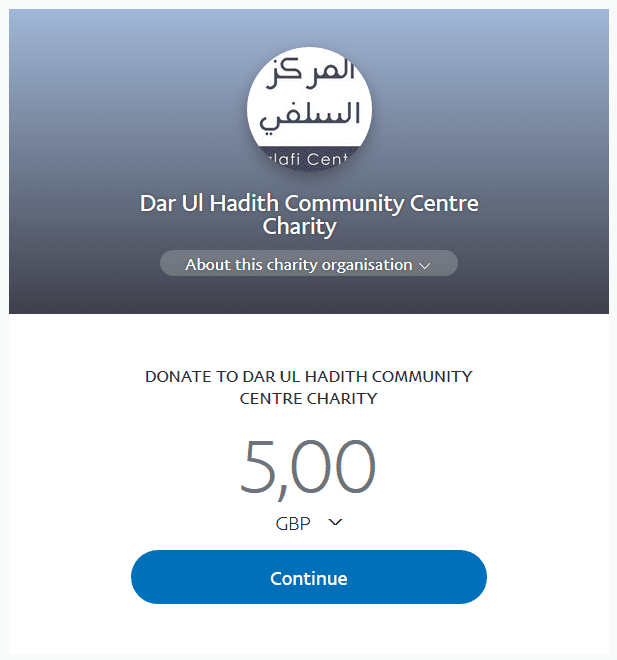 This is what they desire and they do not desire good advice for the Muslims. (They wish to disassociate the Muslims from their unity behind their rulers) in name of actualizing beneficial affairs, rectification, removal of oppression and the likes. All of this is lies and false pretences, because if ruler ship slips away chaos will be at large, corruption will spread and the beneficial affairs which they say will be actualized will be non-existent. Corruption will be at large and there will not be rectification. And this is something experienced at present. The rulers and heads of state who have been removed, what is the state of affairs of their countries after they were (removed)? There has not ceased to be fear, anxiety, chaos, bloodshed etc.